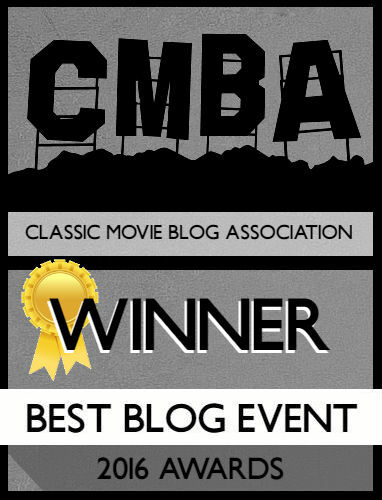 We’re jumping ahead a few decades more than the average review on this site in honor of the 1984-a-Thon Blogathon. I did, however, focus on a film with classic era sensibilities: Robert Zemeckis’ action/adventure, Romancing the Stone combines Indiana Jones – during its release the movie was accused of imitating Raiders of the Lost Ark – mixed with screwball romance. Joan Wilder (Kathleen Turner) is a romance novelist living a life of solitude. When her sister is kidnapped in Colombia, Joan must take a treasure map to the kidnappers in exchange for her sister. Upon arriving in Colombia Joan meets fortune hunter Jack T. Colton (Michael Douglas), interested in helping her for his own selfish ends. Had this been made during the 1940s you’d have Clark Gable as Jack and Myrna Loy play Joan. Zemeckis’ earlier output hearkened back to simplistic stories with grandiose set design. Back to the Future may be about time travel, but there’s also the fish out of water element of a kid in a different time period, learning how the old folks did it. Much of Romancing the Stone could have been done several decades earlier, just excise the foul language and the gratuitous breasts in the opening shot. Joan and Jack are opposites attracted; he’s the uncouth schemer looking for an easy payday, and she’s the prude with a rich fantasy life (shades of Barbara Stanwyck in Christmas in Connecticut). Their growing attraction to each other, raging hormones everyone, is mimicked in the lush Colombian jungles with raging waterfalls and death at every corner. There’s definitely a reason the duo falling down a mudslide is so hilarious. The mystical jewel that’s “romanced” enhances the claims of this being an Indiana Jones retread, but Zemeckis turns that around with its emphasis on Joan’s story, like if Indiana Jones was about Marion. Kathleen Turner’s Joan is a woman desperately afraid of living life for fear of imminent death or change – I feel her pain – a role at odds with Turner’s other take-charge, femme fatale roles of the 1980s. She’s game to throw herself around and get her hands dirty. A scene from her books begins the movie, with its blend of action and romance setting up the situation she’ll eventually play out herself. It is a bit ridiculous turning her into a cat lady, content to “celebrate” the completion of a novel with her cat, Romeo (what other name would she call him). Joan’s a hopeless romantic believing real life could never be as good, but thankfully she learns that through love. The third act sets Turner free, unkempt hair and all, reminding us of why she was so necessary during the decade. No matter that this is Joan’s story, Michael Douglas’ Jack T. Colton is just too cool. Jack is Indiana Jones, Hans Solo, and Magnum P.I. all rolled in one, with an incredible head of hair (somehow he’s getting hair products in the jungle). Jack is a scoundrel with a heart of gold, sweeping Joan off her feet like a character in her novels – upon meeting for the first time, Jack calls Joan “angel,” her book character from the opening. Turner and Douglas’ chemistry is electric, not surprising since they starred in future films together. And let’s not forget Danny DeVito as Ralph, the inefficient bumbler Joan unwittingly evades throughout. DeVito is the Robin Williams of the film, interjecting witty repartee that sounds vaguely improvised (“They’re gearing up for Iwo Jima.”). Ralph aside, the rest of the villains are rather stock. There’s quibbling between Ralph and the head ransomer holding Joan’s sister, but it does little more than push the joke into the mud. You never learn anything about the villains – not only is there the kidnapper, there’s also a Colombian dictator/drug lord – other than they’re EVIL. I doubt Romancing the Stone helped the Colombian tourism industry. Romancing the Stone hearkens back to the action/adventure rom-coms of an earlier era but includes the requisite 1980s tropes to stay current. Kathleen Turner and Michael Douglas sizzle. If you’re in the mood for a more modern film with a classic film twist, give it a look. I am going to give this a try! I’ve heard lots about it, but have never seen it. Also, I LOVE the design of your site, complete with map of Hollywood. Nicely done. 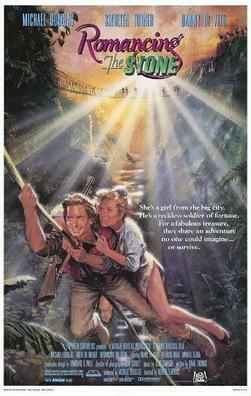 Romancing the Stone is a fun movie and it’s been way too long since I’ve seen it. You’re right about this being Joan’s story and that’s part of what makes it work so well. Great chemistry between Douglas and Turner, too. Oh and I just had to say…you just always have to point out awesome hair, don’t you? 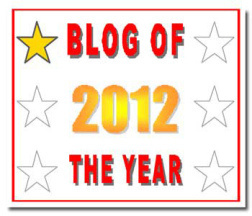 Thanks for being a part of the blogathon. Haha, I’m a hair girl! I can’t help it!